To know tech coding is so cool. These skills are such a current tool. Let's also code computers this school year! To know tech coding is so dear! 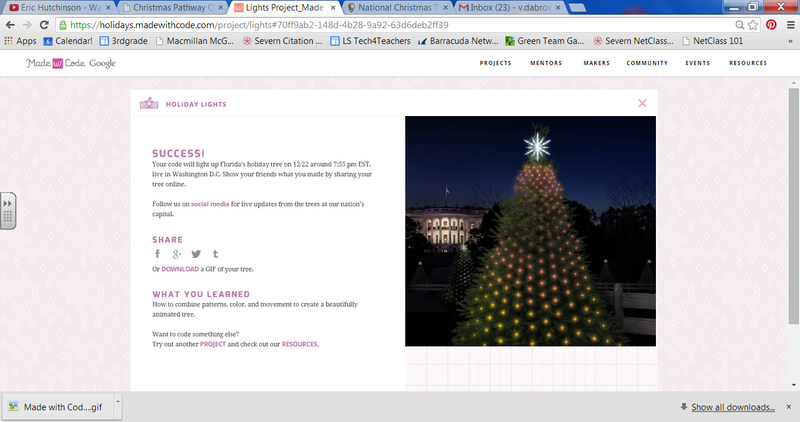 To watch the lighting of the National Christmas Tree (which happened December 4th), click here. To see the state/territory ornaments on the National Pathway of Peace, check out this link..
Click here for Made With Code projects (including the ability to code your choice tree on the Pathway of Peace). In just playing around, I discovered that I really & truly programmed the Florida state tree for December 22nd at 7:55 pm. 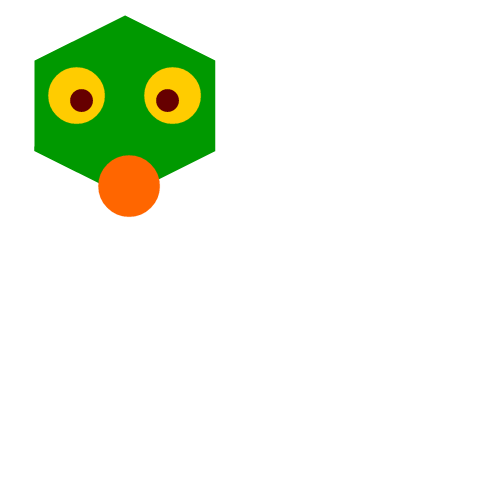 I also used code to make the little green avatar guy below. And by all means, don't miss the Resources! And whatever you do...don't forget to go code the Christmas Tree!! A tree that's quite a sight! Song parodies & lyrics: my own invention! Coding creations made using the https://holidays.madewithcode.com/ website, and saved after creating!